While continually improving and extending its range of first-rate cannabis seeds, Nirvana has also developed a range of unique hemp products. Besides Nirvana's own homebrewed hemp wine and hemp beer, you can buy an assortment of original products such as hemp vinegar, hemp ice tea and "Eva's Paradijs" hemp liqueur. Situated in the heart of Amsterdam, the Nirvana headquarters live up to their name, infusing the neighborhood with color and serenity. Inside, among holy images and smart shop products, a mellow vibe and friendly staff greet you. Nirvana's staff members are pleased to offer help and advice, or just to hang out. Please feel free to come around, you'll most definitely feel welcome! Where to buy the best marijuana seeds, nutrients and soil the cheapest? At Nirvana Shop, of course! 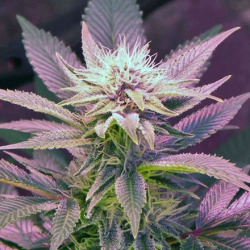 Nirvana Shop is the online presence of the world-famous Nirvana seedbank. For years now, we have been spreading the Nirvana love all around the globe. 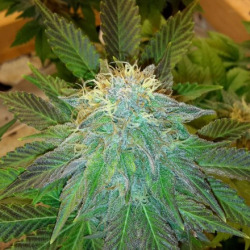 The webshop, which sells solely top-notch cannabis seeds and nutrients, is run by a small but dedicated team of developers, programmers and packers. We pride ourselves on our excellent customer service, which has long been one of the many reasons why customers love to shop with us again and again. Nirvana Es gibt 57 Artikel.